Mental Health UK and Lloyds Banking Group launch a new project to support the mental health of young people as part of their partnership which will continue for an additional year. Hafal is one of the four charities which form Mental Health UK, a network of four national charities working across England, Scotland, Wales and Northern Ireland to improve the lives of people with mental illness, and to support carers. Research shows that one in eight children and young people have experienced a mental health issue in the past year. The charity’s focus for next year, as chosen by Lloyds Banking Group colleagues, will be to look at the main issues affecting young people, equipping them with the skills and knowledge to protect their mental health. The new programme is a collaboration between 500 young people, 100 teachers and Mental Health UK and will aim to reach over 100,000 young people in schools across England, Wales, Scotland and Northern Ireland. The scheme will help prevent long-term mental health challenges in later years, developing practical resources to provide the skills needed for staying mentally healthy. Lloyds Banking Group colleagues will be fundraising throughout 2019 for this programme, and customers can get involved by going into their local branch and making a donation. The launch of the Mental Health and Money Advice Service which was launched in 2017. The first of its kind in the UK, which supports people with both mental health and money problems. Over 1,000 people having benefitted from specialist telephone support, saving each person an average of £1,000 worth of debt. 200,000 more have made use of the many resources online. Training approximately 40,000 Lloyds Banking Group colleagues on mental health, helping them to promote wellbeing in the workplace. Brian Dow, Managing Director of Mental Health UK, said: “This partnership with Lloyds Banking Group has already made a real difference to people’s lives. The extension provides an opportunity to better support the workers, parents and carers of tomorrow, to everyone’s benefit. “Growing up at any time can be difficult, but driven by changes in society, the economy and technology; young people are currently facing a series of unprecedented challenges. We need to do all we can to equip young people with the skills and knowledge to support and protect their mental health. 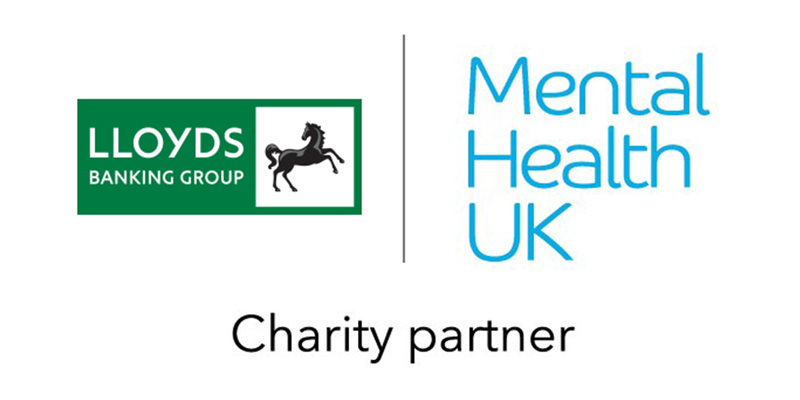 Fiona Cannon, Lloyds Banking Group, said: “Our partnership with Mental Health UK has achieved so much since 2017 and I am pleased that our colleagues have chosen to support this new programme in 2019. Together we will enable the development of resources for young people, to help prevent longer term mental health challenges by providing support that is required at this crucial early life stage.